BOBBY CHARLTON EXPECTS Manchester United to go on a “great adventure” under Louis van Gaal this season. United endured a dismal season under David Moyes last term, finishing seventh and subsequently missing out on European football entirely. But Charlton is sure the Dutchman can turn the club’s fortunes around and believes United – who acquired such stars as Angel Di Maria and Radamel Falcao in the summer – will benefit from having no Champions League commitments in 2014-15. “It seems strange that Manchester United aren’t involved in European football for a season,” Charlton told the Daily Mail. “It’s crazy but maybe it can make things easier for us. Van Gaal has overseen two draws in his opening three Premier League games as Red Devils manager but Charlton is sure United will soon get back to winning ways. Email “Man United won't struggle under Van Gaal - Charlton”. 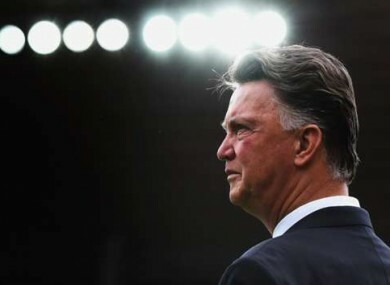 Feedback on “Man United won't struggle under Van Gaal - Charlton”.